Peak District Walks - Mam Tor. This is the second in my series of popular Peak District Walks. It forms one of my favourites, that being the stunning area around Mam Tor. I hope you enjoy this mini adventure. Roaming the Dutch Landscape is a great way to spend any given weekend. The Netherlands offers a diverse range of landscapes, in which any outdoors enthusiast can simply get outside, then wander and explore their surroundings. A favourite walk - The Roaches, Staffordshire, England. I have written about one previous Peak District walk already. That particular walk focused on one of my favourite places, that being the beautiful area surrounding the popular and well photographed, Chrome Hill. Since moving to the Netherlands around three years ago the majority of my days are spent outside, cycling in the bike lane. To most people out there, this might sound rather mad or perhaps even peculiar, but it is all in fact entirely true. After 'Brexiting' the Motherland and I guess becoming part of Dutch culture I decided to make some changes in my life. Changes that were perhaps easy to consider, but in reality, much harder to actually implement. Blog collaboration with world leaders in outdoor waterproofing Aquapac. Cycling has always been my passion. Something I have continually embraced through leisure and sporting pursuits. Cycling is a huge part of me, part of my character and an essential aspect of my existence, here on planet earth. I cycle everywhere, here in the Netherlands, back in the UK and anywhere my travels take me. Read more about my collaboration with KEEN Outdoor Footwear and the review of the versatile outdoor Westward Hiking Boot. Find out what I thought about them as I put them through their paces in the glorious and rugged terrain of Peak District National Park, in England. Peak District Walks - Chrome Hill. A series of my favourite walks in the Peak District, UK. Thoughts from a Spontaneous Sunday Cycle. Thoughts from a Winter in The Netherlands. Wow! What a wonderful start to a brand new year. I've just spent a remarkable last few days, back home in the UK, exploring Wales, Snowdonia, Mid Wales and the picturesque Shropshire Hills. It was a fleeting visit, but a memorable one all the same. With myself and Claire @claireonline enjoying the delights of one of Europe's finest natural playgrounds. I have compiled and uploaded a few photos here. These images were taken with my Samsung Galaxy S7, whilst hiking and generally being active, in the mountains. The S7 turned out to be the ideal companion, while out in the field and I was able to snap on the go without a great deal of fuss. Really nice phone and good camera too. Despite moving away and now living in the Netherlands, home will always be home and although happy, I really do often miss the rugged natural beauty that is so prevalent in the UK. Unfortunately, I really can't but help display those feelings, as I'm an 'outdoors kind of guy' and being in the outdoors certainly defines my character and I guess is just in my blood. I also have so many fond memories of this area, both as a child and as a 'hard working' University student... haha. Where I roamed the hills and paths for hours at a time studying how this beautiful location was formed and all the stunning physical features that can be found here. As someone who thrives on being in the outdoors, happiest in the most remote locations and harshest conditions, I cannot help, but share my love for areas of such natural beauty. Snowdonia is a special place and Wales is a very beautiful country, with so much to see and do. My next visit will most certainly involve exploring the South of Wales, with the beautiful Brecon Beacons, The Black Mountains, the stunning rugged coastlines of the Gower Peninsula and of course Pembrokeshire high on the to do list. It's been a while and I'd love to see it once more. ...I just need a little time to perhaps make things happen. Thanks for reading and thanks #wales... you have been just perfect. A selection of small images from the trip. The Instagram feed can be seen below. If you are not already doing so please feel free to follow me on the following social media platforms. 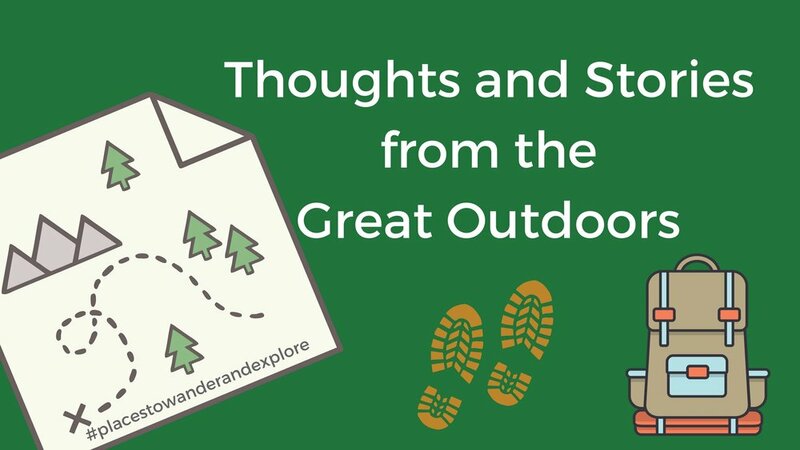 I would like to extend a big thank you to Rise Outdoors for featuring my recent blog post. Really nice to be recognised for my outdoor endevours. Having grown up in the Peak District all my life, I will always regard this place as ‘Home’. The Peak District is a place I can seek solitude, a place that always allows me to unwind and connect with myself once more. Life is tough and my job (like most people’s) demands a lot from me. Therefore to be in such a place is always a must and high on my ‘to do' list. From an early age, I would happily embrace my beautiful surroundings. Whatever the weather, you would often find me outside, exploring and enjoying a new adventure. Often with friends, sometimes just me in a 'world of my own’. My world, a world that always played host to the best adventures and what all the best adventures are built around. A dream, a vision of creating something new and unique. Growing up, I used the Peak District as ‘my playground’, somewhere I could utilise to train on my bike, run freely across open moorland, hike for miles and of course enjoy passions like photography, as well as the beautiful, physical landscape it presents. Whatever the weather, I would be happy outdoors, enjoying the moment and simply just taking it all in. Now that I have moved away, its appeal is even greater for me. On my return, I want to continually explore, embrace and enjoy all of its natural beauty. The older I get the more I appreciate the finer details in life and this definitely allows me to be humble in my thoughts and truly thankful for what I have and what I have achieved. My most recent visit to the Peak District took place at the end of the summer. I’m very lucky to havea long summer holiday and in the previous two weeks myself and my family had been to both Germany, Bavarian Alps and the mountains Salzburgerland in Austria. To fully embrace all of my free time, we left our home in the Netherlands and ventured across the lowlands, through Belgium and Northern France, onward to the United Kingdom. This time, the choice of travel was by train, as it always offers a relaxed and interesting point of view. I love travelling by train, as I feel it offers a great way to just experience the world me. There is nothing better than just sitting back and watching the world pass you by. On arriving in London, many memories start to flood back. I lived here for 5 years, had a wonderful time, but soon realised that my inner peace was always in the countryside and not within the city life of London, so after a brief stopover we changed trains and headed north. Soon after we arrived at my parents’ home, we quickly settled and then used it as a base to then explore the wonderful surroundings. I was brought up on the west side of the Peak District in the Staffordshire Moorlands. In my opinion, this area has some of the finest countryside the UK has to offer and is so often overlooked, with many other locations ranked before it. With its remote upland areas covered in moorland and heather, together with beautiful lush, rolling hills and woodland areas, there is nothing better. Add to that the presence of sheep, cattle and stunning rocky outcrops, its appeal is clearly apparent for all to see. Using this particular area as a base is superb, as my parents' home is so close and accessible to popular locations like the Roaches, Chrome Hill, the White Peak and also the Dark Peak. I love it here, as there is simply so much to see and do. For me, I like nothing more than taking the short trip up to the village of Thorncliffe, near Leek. Here, (once you have negotiated the steep climb) you’ll be greeted with a spectacular view across the dramatic landscape, enjoying breathtaking views as far West as Wales, as far East the picturesque White Peak and North towards the Pennines. On a clear day it is amazing, on a bad day there is endless low cloud and fog. Therefore, in my opinion, any day here is a good day. I love it here, not only for its views but due to its remoteness. I love any form of remoteness and I equally enjoy solitude. From time to time, I just like to be on my own and be in the quietest of places. Places where you can hear nothing and in the busy worlds we live in, just take a moment and 'enjoy the silence’. On the summit is moorland and extensive views of literally nothing. When the fog rolls in it is eerie and has a somewhat daunting and haunting feel. When the sun shines the colour contrasts are breath-taking, with a picture perfect scenery to be enjoyed almost every time. In my opinion, the Peak District always offers a unique natural beauty, but also offers a harshness that can only be overcome if you adapt and develop a character to succeed within it. Like most upland areas, the landscapes can be tough and unforgiving at times. For some, a weather change may detract from the appeal of this landscape, but for me, it is a great opportunity to get out and make the most of it. Grey clouds, fog and localised downpours, can dramatically change the surroundings and also the way that they are viewed. For me, this is what I enjoy the most, the challenge, the bleakness and the remoteness. Changes in light tend to bring out the smaller details, which I really enjoy, like the colours of moorland heathers, the undulating fields (filled with sheep and cows) and craggy rocky outcrops of places like the Roaches and Bamford Edge. It is these conditions that lead me to hike for miles or get on my bike and seek a new spot to photograph something new and dramatic. Within this picture postcard landscape you will generally find mile upon mile of traffic free roads and if you’re lucky enough to avoid the main roads, the possibilities are endless. With a remote path to follow or a winding road that snakes off into the distance. Throughout the stay, we visited some equally fabulous places and locations that are simply stunning. We venture slowly across the Peak District National Park to Castleton, to hook up with an old friend. Here we enjoy the Dark Peak, as it is more dramatic in its appearance and continually offers an exciting opportunity to explore. We walk for miles, in the fog, up to the summit of Mam Tor and along the Great Ridge, until we decide to double back on ourselves and traverse the lower levels of Mam Tor and discover the 'broken road', which was the main road, that was destroyed in 1979, after a significant landslide. This is another great place. To walk up the broken road is an experience in itself, but to also enjoy the beauty that surrounds is pretty unforgettable too. Once at the top, we decide to walk down towards Winnats Pass. Winnats Pass is a popular location, with many visitors coming here to see this great spectacle. Here the path travels through a steep sided gorge, which was originally been cut out by a tropical sea, from the carnivorous period in Geological history. What is left behind is pretty fantastic and whatever way you look it, you cannot help but be inspired by the natural beauty. When you look up you see high towering pinnacles reaching high into the clouds and if you could see below your feet you would see and endless network of caverns cutting into the limestone below. The Peak District is certainly a special place. A place that offers great opportunities for budding photographers exploring the surroundings and it is also renowned as a caver's paradise for those who like to do their exploring underground. If you get the chance, come and visit. You won't be disappointed. Collaboration with popular Outdoor Clothing Brand Haglofs. Thoughts and Stories from my most recent trip through Europe. Thoughts from a trip back home to the Peak District.